This post will preview the new Sports games coming out soon (i.e. next few months). Fifa 14 is the 16th game in the EA sports "FIFA" series and this season sees the addition of Ultimate Team Legends, where you can accuire great players from different eras such as Pele, Gary Lineker and Freddie Ljungberg. FIFA will be avalible for PS2 (LAst edition on PS2), PS3, XBOX 360, PC, PSP, PS Vita, Nintedo Wii and 3DS. FIFA 14 will be avalible on NextGen consoles such as the PS4 and Xbox One. There is also new teams including 18 from Brazil's Serie A, Argentina's Primera Division, Chile's Nacional Petrobras and Colombia;s Liga Postobon as well as the Brazilian and Montronegan national team. There is also a limited edition were you get 24 FUT Premium Gold Packs, a steelback case, 3 brand new celebrations, Historic Kits, 5 Pro Boosts and an Adidas Bundle. Personally FIFA 14 is a bit repetative of previous editions but FUT Legends gives it something extra. 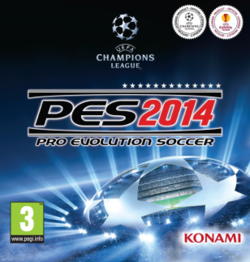 The other annually released football game is PES2014, who have the licence for the UEFA Champions League and UEFA Europa League so it will have teams involved. For the first time PES has an exclusive licence for the AFC Champions League , the Argentine Primera División, Chilean Primera División and Arabic commentary as well, by Rhaouf Khelif of Al Jazeera Sports. This year Konami have tried to improve the physics of the ball and using the new HAVOK physics engine and Motion Aniamation Stability Systems (MASS). PES will not be availble on NextGen Consoles, it will be released on PS2, PS3, XBOX 360, PC, Nintendo 3DS and PSP. I think it has improved on previous years but is not near FIFA as there is not enough licensed leagues. As well as Classic cars and track you will be able to race the 2013 F1 season with all 19 Tracks.Also the penalty system is not as annoying as F1 2012. I think this is the best F1 Game that Codemasters have made. Please put what game you wiill buy in the comments section down below.